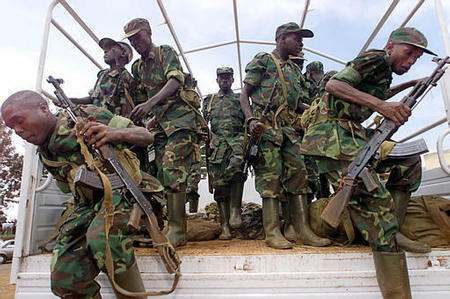 Ethnic clashes in Ituri have killed thousands of people since 1999.
withdrawal of Ugandan troops from eastern Congo. group, said Thursday's attackers spoke a Lendu language. the eastern province of Ruyigi since January. and government troops in Gisuru commune in Ruyigi. Burundi : 440 civilians die. 1. Pas d'uniforme rwandais ! 2. Troupes invisibles ? C'est reparti comme en 96, 98, etc. Nos soldats de nouveau au Congo ? depuis plusieurs mois et le fait qu'ils soient à présent repérés dans cette zone alimente de fortes peurs, surtout au sein de la population locale. intérimaire de RDC, Tshibambe kia Pungwe. 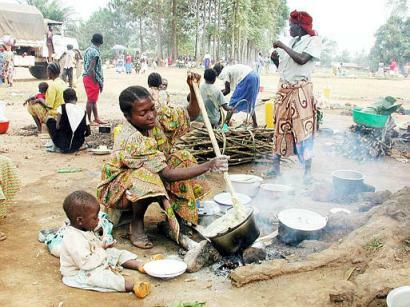 A Congolese woman displaced by fighting in eastern Congo cooking stiff poridge while her young child looks on at the compound of the Roman Catholic church in Mangina, in eastern Congo, on Friday, Jan. 24, 2003. 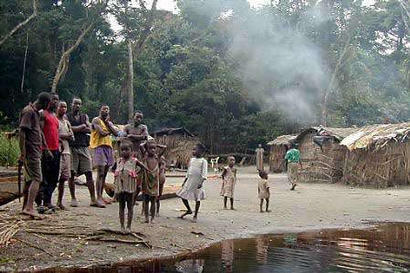 The mother and child and 26,000 other Congolese fled their homes in the region after troops of the rebel Congolese Liberation Movement, or MLC and its allied Congolese Rally for Democracy-National, or RCD-N, began eating rival tribesmen while fighting the Congolese Rally for Democracy-Liberation Movement. The cannibalism is believed to have been calculated to evoke profound terror on foes and was inspired by witchcraft beliefs and deep tribal animosity. Burundi : Hutus, Tutsis tuent tujurs ! à vue depuis plus de deux mois. aux différentes factions armées opérant à l'est de la RDC." Rw & Ug avec les "Cannibales" ? 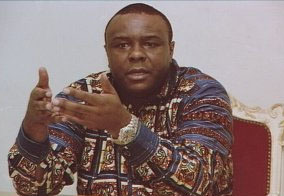 Jean - Pierre Bemba : ça chauffe ! 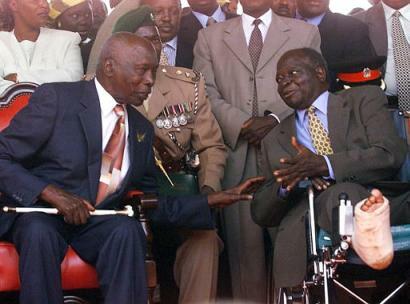 Daniel arap Moi during Kibaki's swearing-in ceremony in Nairobi, Monday, Dec, 30. APR : Offensive de Noël ? Now, the man in the position does the job. 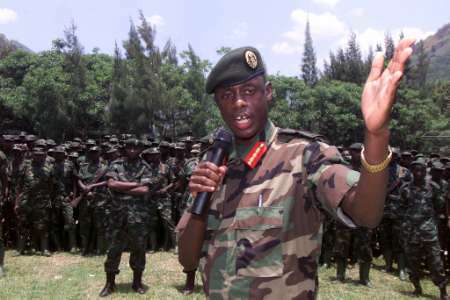 NAIROBI, 23 Dec 2002 (IRIN) - The government of Rwanda has denied sending soldiers, posing as returning refugees, to the Democratic Republic of the Congo (DRC) just as its troops were officially pulling out of the country. Speaking on Rwandan Radio on Saturday, Rwandan Foreign Minister Charles Murigande also said that no Rwandan soldiers had set foot on DRC territory since their official withdrawal. He denied his country's involvement in the movement of the refugees to the DRC. country's first elections since !independence from Belgium in 1960 are held. National Assembly and a 120-member Senate. Des "APR" par milliers au Congo ? In a peace deal reached last week, the government of the Democratic Republic of Congo promised to disarm and arrest thousands of Hutu rebels, or interahamwe, and ex-members of the Rwandan army, the FAR. In return, Rwanda will withdraw the estimated 30,000 troops currently hunting them down in the eastern Congo. But the 90-day timetable allocated for arresting and disarming the Hutu militias has provoked considerable scepticism, with many doubting that Kinshasa has the reach and capacity to fulfill its side of the bargain. Those doubts have deepened with news that Rwanda's proxy in Congo, the Rassemblement Congolais pour la Democratie (RCD-Goma), has charged that the Kinshasa government is continuing to arm Rwandan Hutu rebels. 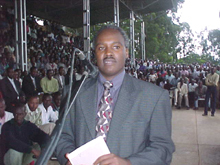 AllAfrica's Charles Cobb Jr. spoke to Charles Murigande, Secretary General of the ruling Rwandan Patriotic Front. Is it reasonable to expect the Congolese government of Joseph Kabila to be able to round up the Interahamwe and ex-FAR in a 90-day period? I think it will depend on will. If they have the will, they can achieve that because it really isn't a very complicated matter - although it seems to everybody who is an "expert" on Congo to be a complicated matter. You know, if you really look at what has been happening during the last four years we have been capturing a lot of ex-FAR and Interahamwe. We have even been receiving those who voluntarily report to us and we have been integrating some of them - many of them - into our army. So this has definitely sent a message to many of those who are still fighting us from Congo, many of those who are on the side of Kabila, that they are welcome in Rwanda. But of course, many of them are not in a position to walk out of the Kabila camp and come and join us because an army has a structure, an army has a leadership and it is the leadership which is unwilling to voluntarily disarm and report back because many of them are implicated in the  genocide. So if really Kabila or the Kinshasa government wants to disarm these genocidal forces, we would like for them to arrest this leadership. If they arrested the leadership, the middle rank - officers and the rank and file - would be willing to voluntarily disarm and be repatriated. And I don't really think that it is very difficult to arrest the ring leaders, if they wanted to do that. Now they may be asking, 'How can you turn around and arrest somebody who has been fighting with you and who has been defending you?' It is probably a moral problem they have; it isn't a practical problem. Do you think they are committed to making the effort now? I am really asking for your assessment of the sincerity of Congo President Joseph Kabila in signing the agreement in South Africa. 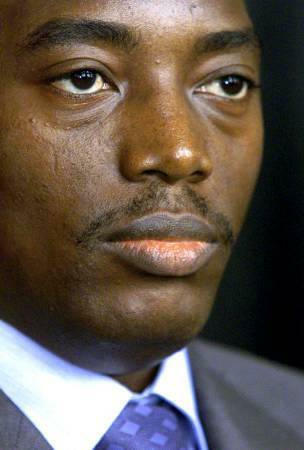 I cannot know what is in the head of Kabila. I would simply accept the stated sincerity from Kabila and wait and see if this stated sincerity is translated into action. I don't think it would be wise for me to say he wasn't sincere. It is only after facts that I would be able to say he was sincere or he wasn't sincere. Again we're back to the practical question. 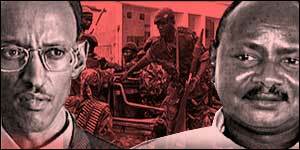 We often think of the Kabila government as essentially a Kinshasa government. The interahamwe and ex-FAR are spread across a huge area of Congo. Does he have the capacity? If you want him to arrest everybody that is in the Congo at once, I don't think there is any nation in this world which would be able to do that. But you can cripple the capacity of these ex-FAR and Interahamwe to fight if, as I said, you arrest the leaders, you stop giving them ammunition, supplying them new arms; these people will be unable to fight. They will voluntarily abandon the armed struggle because they will no longer have the capacity to fight. So we aren't really insisting that the Kabila regime should arrest everybody - probably that would take forever, knowing the jungles of Congo. But if somebody is lost in the jungle of Congo and has no ammunition, has no food, nothing, he will no longer be a threat to Rwanda. So there are things that the Kinshasa regime can do which would put an end to the threat that is constituted by these forces. What about the RCD-Goma (Congolese Rally for Democracy based in the town of Goma) which is seen as allied with Rwanda, your government? Will they come into the peace process now? You know the RCD has always desired to be a part of any peace process. The peace process must produce a result that is balanced in terms of power-sharing, must put in place a transitional arrangement that is broad-based, that is inclusive. That has always been the position of the RCD and if there is a will on the other side I don't think RCD is going to be a stumbling block to a peaceful resolution of the conflict. I don't think the fact that Congo and Rwanda have signed a peace agreement changes the position of RCD because the position of RCD has been a principled one all along. As you look ahead, are you optimistic that we're now on the road to some sort of end to this lengthy conflict? I always tend to think that human beings are good by nature and that they mean well, so if I apply this to the leadership of Congo definitely anyone who aspires to lead the Congo will be desirous of peace in his country. I have no reason not to believe that the leadership of the Congo desires peace in their country. And what makes the agreement reached in South Africa different from the Lusaka Accords? It establishes a monitoring mechanism. South Africa and Kofi Annan, as the United Nations Secretary General, are required to put in place a monitoring system so as to know at every step that so-and-so has done its part or so-and-so isn't doing what he's supposed to do. Congo is a big place. Any monitoring mechanism to be efficient will require a lot of means - I don't think South Africa is in a position to foot the bill alone, so probably the international community can help in that. And if there are countries within the international community - the US, France, UK - who want to join the monitoring mechanism they can join and where they think there is a need to increase the presence of the international force, or even to change the mandate of a UN force, then they can devise a way to do that. So it is important to have the involvement of the international community. Congo is in a mess partly because of the role of the international community. It can't be put right without the international community's involvement. last week is largely a pretext. 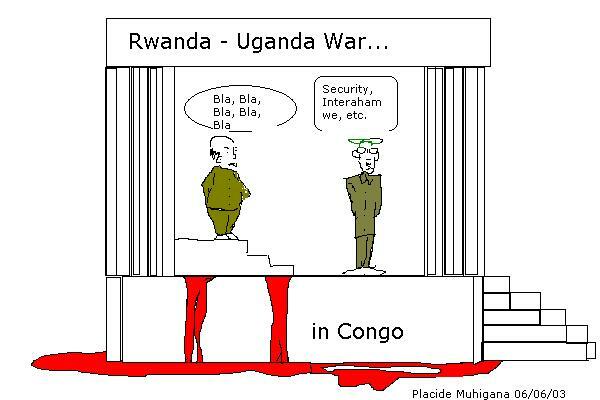 now a very convenient excuse for Rwanda to loot Congo. grenade attack on a Catholic church. refused to comment on this report. Rwanda,' said a senior British official in Kinshasa.